The bus full of Juventus Academy (JA) students, parents and teachers visted Umag, Croatia on Saturday, . On very rainy day, our young JA players played friendly match with students of Osnovna škola Marije i Line from Umag. We are proud with the result of our older group (grades 5 & 6) which won 6 : 3. Unfortunately our younger group (kindergarten, grades 1 & 2) lost 8 : 1. In the afternoon the whole group socialized on the beach despite the changeable weather. Some even swam in the sea. The students of OŠ Marija i Lina will pay return visit in the autumn. 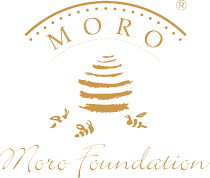 Moro Foundation sponsoring the event.